The total solar eclipse on Aug. 21, the first to arch the U.S. coast-to-coast in 99 years, will be a test of how well the country’s grid will handle an unprecedented swing in solar-power production. Operators will have to balance a speedy loss of large loads of solar energy as well as the whiplash of that energy coming back to the grid as the eclipse runs its course. Don’t reach for a flashlight just yet. The eclipse will obscure the sunlight needed to generate electricity at some 1,900 utility-scale solar-power plants in the country, the Energy Information Administration said this week. Relatively little solar-power capacity lies directly on the path of totality, or where the sun will be completely obscured by the moon, and no reliability issues are expected in the U.S., the EIA said. Naturally, solar-powered generators on the path of totality will be affected the most, as the moon will block all direct sunlight for up to three minutes. The generators will also be affected to a lesser extent throughout the entire eclipse, expected to last up to three hours. Generators outside totality will be less affected, depending on how much sunlight is obscured. Totality will affect 17 utility-scale solar power plants mostly in eastern Oregon, the EIA said. Hundreds of plants, mostly in North Carolina and Georgia, will be at least 90% obscured. More than 6,000 megawatts of capacity will be affected in areas to be at least 80% and at least 70% obscured. 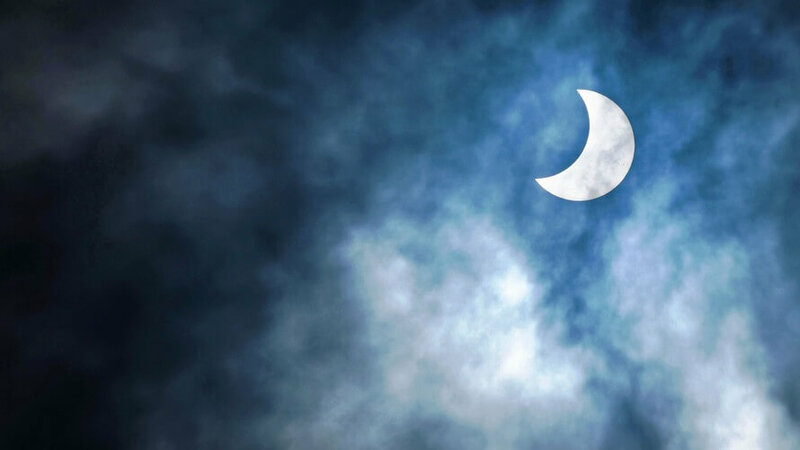 During the eclipse, electricity generators in the areas obscured will have to increase output from other sources of electricity generation to make up for the decrease in solar power. Utilities do that on a regular basis, albeit on a much smaller scale, when they reach out to “peaker” power plants to smooth out swings. Peakers, as their nickname implies, run when demand is higher, such as in the afternoon, or when the weather turns extreme. They not only prevent blackouts and brownouts but also instability in the power grid. Peakers are usually powered by natural gas. In California, home to 40% of the country’s total PV capacity, the California Independent System Operator plans to replace solar generation with electricity from natural gas and hydropower plants. From about 9 a.m. to noon Pacific time, the state’s grid operator will need to send about 6,000 megawatts of power from alternative sources. The California ISO has a webpage dedicated to the eclipse and its grid, where viewers will be able to track solar production as well as current and net energy demand in real time. In North Carolina, the moon will obscure the sun from about 1 p.m. to 3 p.m. Eastern, a peak time for solar-power production. Duke Energy Corp. one of the largest utilities in the state, estimates solar energy output will drop from about 2,500 megawatts to 200 megawatts in one and a half hours. Operators plan on having natural-gas plants at the ready during the eclipse, Duke Energy said. In March and again in April, U.S. monthly electricity generation from utility-scale renewable sources, including solar and wind, exceeded nuclear generation for the first time since July 1984, the EIA said earlier this year. The next eclipse over North America will occur on April 8, 2024, sweeping a diagonal southwest-northeast path across Mexico, U.S., and Canada. The next U.S. coast-to-coast eclipse is not until Aug. 12, 2045.